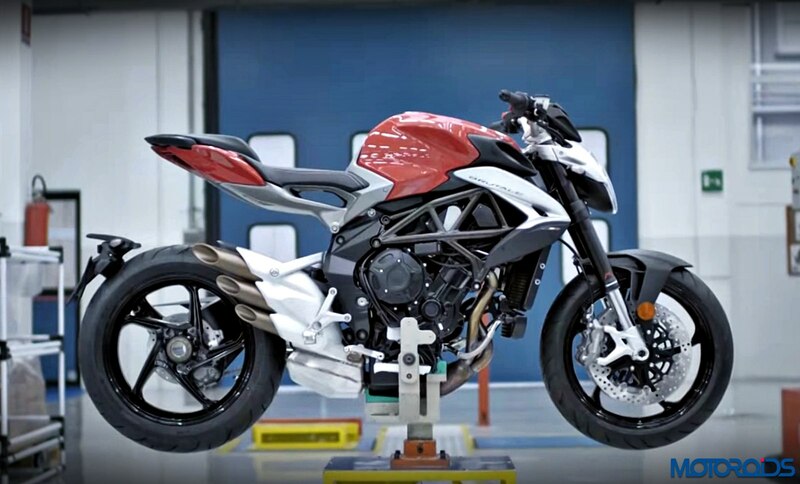 MV Augusta, the Italian motorcycle manufacturer plans to launch the 2016 Brutale 800 in India in the month of July next year. The 2016 Brutale 800, which was showcased at the EICMA motor show a few months ago, would come to India through the CKD route with a price tag of about INR 13-14 lakhs (Ex-Showroom) and would be the most affordable offering from the brand in India. Complying with Euro 4 emission norms, the 2016 model features a 796cc three-cylinder DOHC engine which produces 116 hp at 11,500 rpm, 9 hp lesser than the current model while peak torque has increased by 3 Nm taking it to a total of 83 Nm at 7,600 rpm. The 2016 model also stands to gain 7 kg that brings the total dry weight to approximately 175 kg while the compression ratio has come down from 13.3:1 to 12.3:1. As compared to the current generation model, The 2016 MV Augusta Brutale 800 will get some minor tweaks that include a new tail section, a refreshed fuel tank, a redesigned exhaust and LED headlights. The frame of the motorcycle has been revised, which increases the wheelbase by 20mm, while the trail has increased by 8.5 mm taking it to a total of 103.5 mm. Suspension duties will be taken care by Marzocchi forks upfront while the rear gets a Sachs monoshock. The 2016 Brutale 800 will be dressed in Pirelli Rosso III tyres. 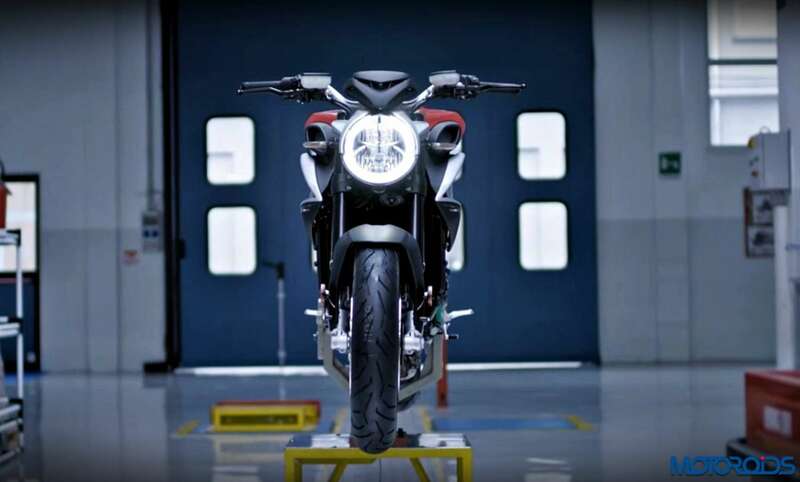 The 2016 MV Augusta Brutale 800 once launched, will be the entry level motorcycle from the Italaian manufacturer and would be sold in India by Kinetic Motoroyale. Assembly would be handled at Kinetic’s facility outside the city of Pune. Showrooms will be inaugurated in Mumbai, Pune, Delhi and Bangalore to start with.